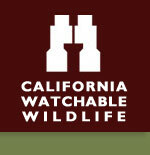 Knoxville Wildlife Area protects unusual serpentine habitats, California's state rock. Background: Because of the area's distinct wildlife habitats ( the oak grasslands, dense chaparral brush and oak woodlands ) Knoxville Wildlife Area provides important cover, breeding grounds and feeding areas for black-tailed deer, quail, wild turkeys and raptors. The Habitat: Oak grasslands, dense chaparral brush and oak woodlands. The Experience: Knoxville Wildlife Area is one of the few sites in California that protects unusual serpentine habitats. Type C Wildlife Area. Common game species include deer, wild turkey, quail, rabbit, gray squirrel, dove, pigeon, and bear. Site Notes: Knoxville Wildlife Area is one of the few sites in California that protects unusual serpentine habitats. Serpentine is California's state rock, and the soil derived from serpentine is chemically hostile to most plant species. However, its deposits support islands of rare and endemic plants, which have adapted to these harsh soils and provide for numerous endemic insects. These plants and insects help sustain a wide array of songbirds, mammals, amphibians, and reptiles. In addition to Knoxville's serpentine chaparral habitat, the wildlife area encompasses grasslands and cliff habitats, providing feeding areas and a safe haven for hawks, harriers, falcons, owls and other raptors. How to Get There: Located in Napa and Yolo counties along Berryessa-Knoxville Road. The terrain is rugged, with elevations ranging from 1,000 feet to 2,200 feet. The Knoxville area (8,104 acres) is accessed from the north in Napa County via Highway 29 to Lower Lake to Morgan Valley Road past the old Homestake Mine site where it becomes the Berryessa-Knoxville Road in Napa County (approximately 17 miles). The Knoxville area is also accessed on the southern side via Highway 128 East (Napa County) through Rutherford to Berryessa-Knoxville Road (approximately 23 miles) or Highway 128 West through Winters (approximately 29 miles).